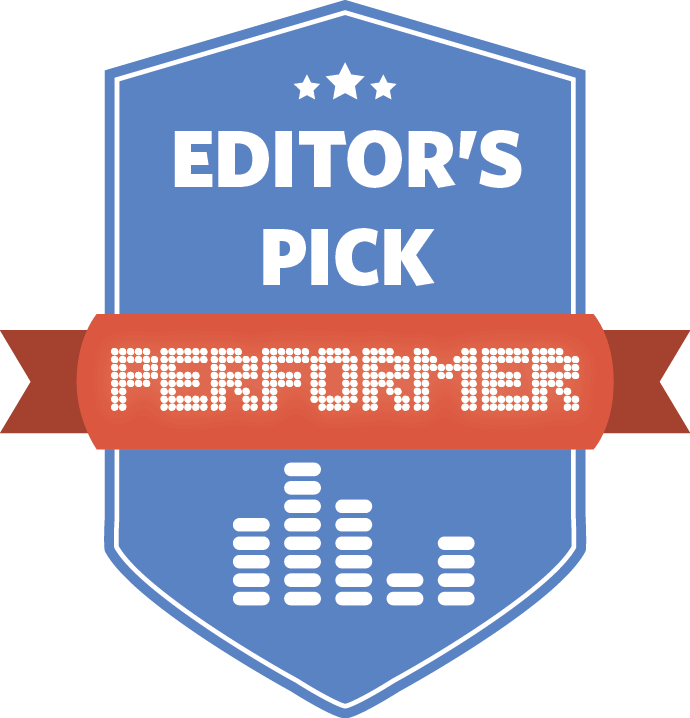 Read our expert review of the Universal Audio Arrow Thunderbolt Interface and learn why we awarded it our Editor’s Pick Award for May 2018. Another small-footprint interface? Now, before you roll your eyes, hear us out. This might be the best of the bunch – let me tell you why. If your system can handle Thunderbolt 3, the new Arrow interface from Universal Audio might just be the only stop you need to make for a home studio or small commercial space. It’s portable, affordable, easy to setup, comes with a ton of amazing software, and features some of the best mic preamps we’ve found at this price point. Let’s start with ease of use. The days of confusing and hard-to-manage interfaces are over. With a clean design, Arrow is intuitive to use, features an uncluttered front panel and rear I/O layout, and is simple enough for even the most novice user to learn in just a few minutes. That said, Universal Audio didn’t skimp on power, as Arrow is packed with fantastic proprietary AD/DA convertors and two Unison mic pre’s that are flat-out fantastic and musically transparent. We tracked vocals with a few different condensers (+48 button is right on the front, can’t miss it) and dynamic mics, and were quite impressed with the uncolored “airiness” we were laying down in our DAW by using Arrow, and just how easy it was to get a great sound with minimal fiddling. Acoustic instruments fared equally well, with Arrow capturing subtle nuances being fed by our assortment of mics. You even get a front-panel Hi-Z input for guitars, in case you want to go direct. Again, our tests yielding great (and most importantly, clean) results. For those classic Prince-style electric sounds, you’ve gotta got direct. Controls are simple and well-laid out, with one honkin’ rotary knob for monitoring, and a bright light up display that enables you to keep an eye on your input channels (mic, line and Hi-Z) as well as your headphone output at all times. Latency? Thing of the past, my friend. The latest Thunderbolt technology ensure that there’s basically no lag whatsoever, and we can attest to that. Further, Arrow sounds the most analog of any digital interface we’ve ever encountered, at least at this price. Further still, you get access to a dizzying array of UAD powered plug-ins for tracking and mixing, notably Marshall guitar amp emulators, UA 1176LN emulators, and additional mic preamp and amp emulations from API, Neve and others. If the interface’s hardware wasn’t enough to win us over, the software package that complements the unit is the icing on the cake, and works hand-in-hand with Arrow’s hardware side to ensure everything works seamlessly together out-of-the-box. Getting a simple, yet powerful interface to be the brains of your home studio is one thing, but unleashing its full potential with classic, analog-sounding mic preamp emulators, guitar cab/amp simulators, and legendary limiter/compressor plug-ins is just what you need to have a fully-functioning mobile powerhouse studio at a ludicrously low price point. The new Arrow interface earns our Editor’s Pick Award – we can’t recommend it highly enough. PROS: Small footprint, affordable, mobile-friendly, great software, fantastic mic pre’s. CONS: Thunderbolt 3 may limit appeal to some legacy users. This sounds pretty good, would be interested to know what the primary differences are between this and the UAD Apollo.